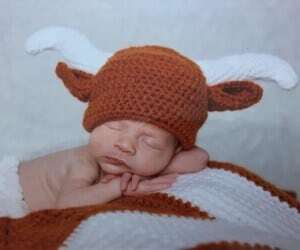 In the fall of 2008, I was inspired to make a burnt orange and white star baby blanket for a dear friend who also happens to be a UT grad. At the time, I didn’t know if she was planning another baby, but it just felt like a good idea. I sent the blanket to the Texas State Fair and it won honorable mention. Fast forward to 2014. My good friend welcomed a daughter into the world, and I congratulated her in the best way I know, with very tiny socks. 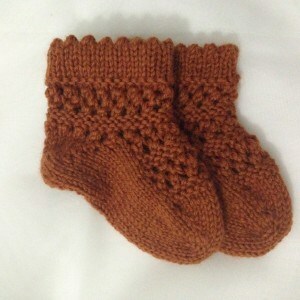 Yarn: In the end, the Mommy-to-be and I dove into her stash and came up with burnt orange sock yarn. I wanted the orange to be Longhorn approved and her stash is heavy with burnt orange options. Ps. When baby girl has outgrown these socks, I’ll to turn them into Christmas ornaments. One for baby girl and one for her priceless mom. Oh, my goodness! Those socks are so cute and tiny! I love the idea of turning them into ornaments. And, that blanket is AMAZING! 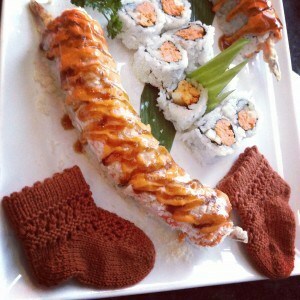 That is a lovely idea of what to do with the little socks when they are outgrown. So gorgeous! I love orange for little babies. 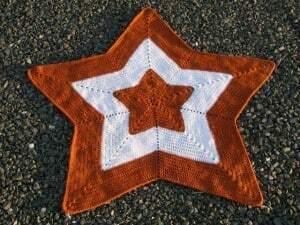 The star blanket is wonderful! Those are so cute! The blanket is beautiful.